Lancelot Smith’s children were the first of our family to be born in Ireland. They grew up at Corballis and this photograph taken in 1889 or 1890 is important because it shows all of them together. Lancelot would have been about 8 years old when his father moved the family from the farm at Rathcoun, Cashel, to the farm at Corballis, Donabate. I assume he grew up with the expectation, as the eldest son, that he would be a farmer when he was an adult. Even though his father rented the farm at Corballis for a number of years, Lancelot did not take over that farm as might be expected for the eldest son. Instead, his father gave him the responsibility of managing the second rented farm at Beaverstown, also in Donabate. Lancelot was living at the Beaverstown farm by 1893, possibly earlier. Lancelot married Eleanor (Nell) Mounsey on 6 June 1894 in Ballymackey Anglican Church, near Nenagh, County Tipperary. Clearly, there remained strong social links between the Mounseys of Tipperary and the Smiths even after the Smiths had moved to Dublin. The Mounseys lived in Clashnevin in North Tipperary and Nell’s father John Mounsey seems to have been a prosperous farmer in the area. Nell was the fourth daughter in the family. 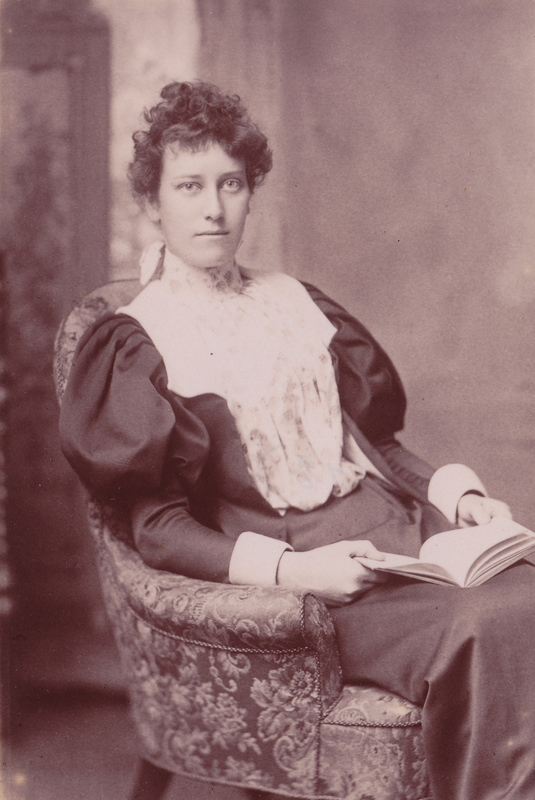 Elizabeth Smith, known as Elsie, was born around 1895 and later married Brigadier Herbert (Bertie) Bell; they had two children. Brigadier Bell served in the British Army during the First World War; part of his army service was in China. Lancelot Westgarth Smith, born around 1896, married Edith Ellen Barron Dawson in 1942 in Bulawayo (then in Rhodesia). They had five children. 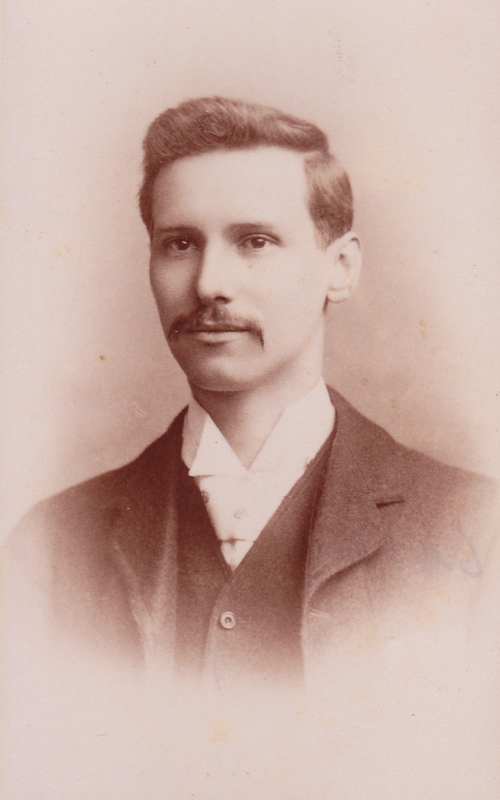 Lancelot Westgarth was known as Garth. He was a dispatch rider in the First World War. After the war, he lived in Trinidad for a time and then went to Rhodesia. Eleanor Upton Smith – known as Norah – born around 1899, married Henry J. Simpson, a businessman in Dublin. They had two children. Mary Kemp Smith, born around 1903, married Kenneth W.V. Highton and went to live in Trinidad. They had two children. William Smith, born in 1907, was married and went to live in Los Angeles, California. Lancelot was actively involved in the Church of Ireland parish church in Donabate during the 1920s and early 1930s. In the late 1920s or early 1930s, Lancelot acquired a second farm (Patterdale) in Campile, County Wexford. He was living there when he died in Dublin in December 1934. His widow Nell lived on until 1941. Both of them are buried at the Anglican parish church in Donabate. Elizabeth Smith, known as Betty, was born in October 1864. She did not marry and kept herself busy being housekeeper and caregiver to various people. Apparently she was idealistic and interested in many things. She was also fond of gardening. During her childhood, she went to school in Gamblesby so there was ongoing contact between the Smiths in Ireland and those in Cumberland. As an adult, she lived with her younger brother John and his wife at Corballis for a time. In 1911 she was visiting her aunt Sarah Cowen in Gamblesby on the day of the Census. Later, she lived in Birmingham, helping to bring up the two Nicholson daughters (her nieces), after her sister died in 1917. 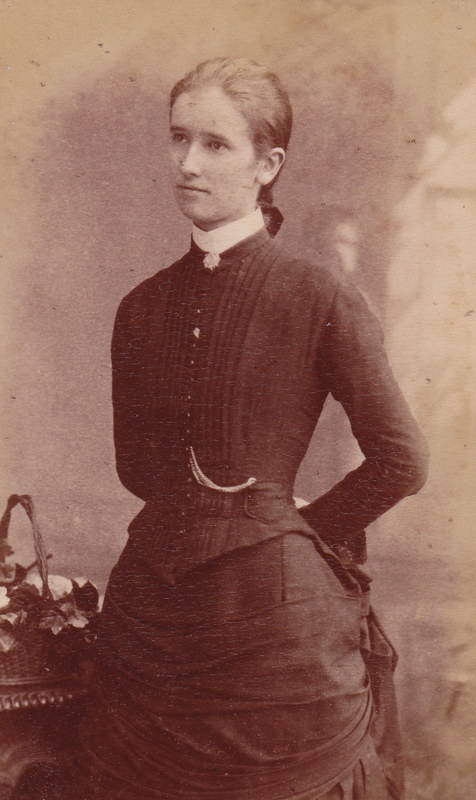 Agnes Hannah Smith, known as Agnes, was the third child and born in March 1866. She was the author of the narrative I have ben using to provide background about the Smiths and their origins in Cumberland. From her narrative it is apparent that she visited her aunt Sarah Cowen in Gamblesby and knew some of the people living there quite well. She too went to school in Gamblesby for a time, probably staying with her aunt Sarah. 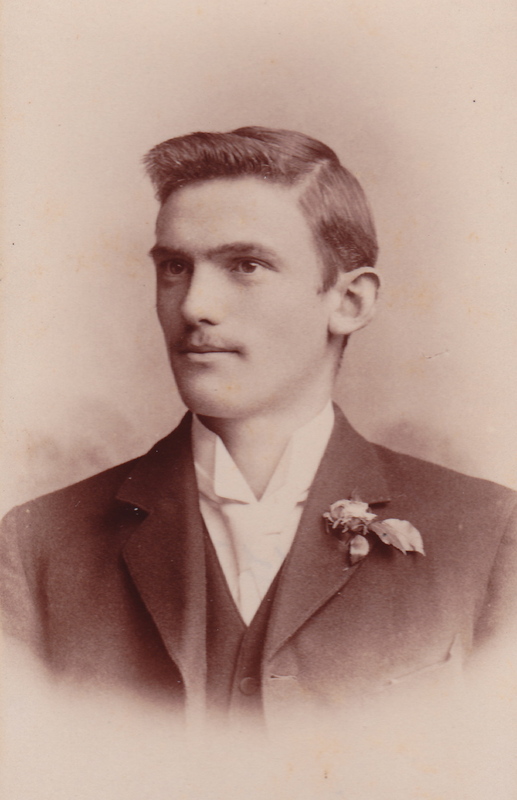 Agnes married Alexander (Alex) Nicholson in 1891, probably in Donabate. Alex was born near Cashel, Tipperary; he was employed as an engineering draughtsman by BSA in Birmingham. Agnes and Alex had four children: Ernest, Alexander John (known as Jack), Sheila and Agnes Hannah (known as Nan). Ernest was an engineer and died in 1921. He had been in the Royal Flying Corps and the Royal Air Force during World War I. Jack was actually born in Blackhall while his father was in Australia selling farm machinery. As a boy, Jack was fascinated by insects and he eventually became a professor of entomology at Sydney University in Australia. Jack and his Australian wife Phyllis had two sons. Agnes died in 1917 in Aston, Warwickshire, which is near Birmingham. Her younger daughter Nan would only have been about 12 years old at the time. William Smith, born in September 1867, was the fourth child. His story has its own page on this blog. John Smith followed on quickly behind William. He was born in December 1868. He would have been about two years of age when his family moved to Donabate. 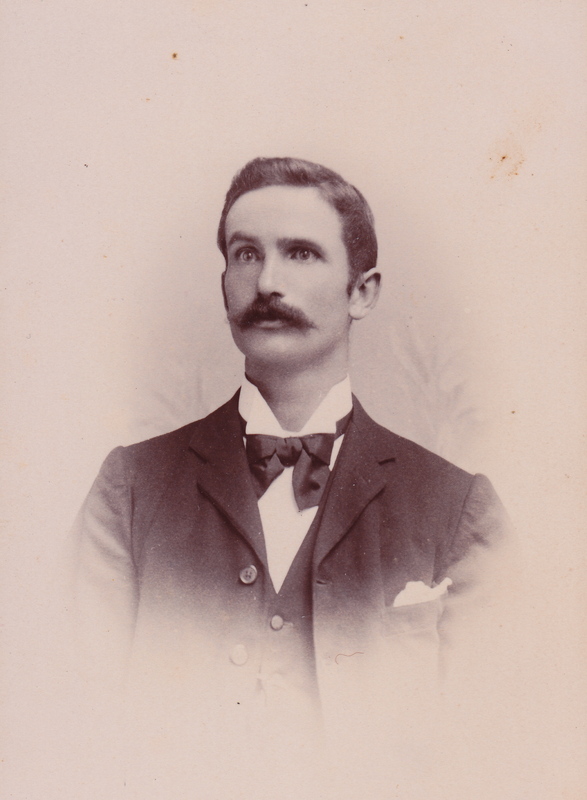 John continued living at Corballis after his father died in 1899 and took over the property, with his brother William, after his mother Eliza died in 1904. In 1909, John married Helen Stewart Brown from Dungannon; they were married in Belfast. John and Helen had three children: Lancelot Henry, Priscilla Helen and Stewart. Like his older brother Lancelot, John was a church warden in the Donabate church in the 1920s and early 1930s. John died on 10 September 1937 and was buried at the Anglican parish church in Donabate. His widow Helen lived until 1961. She also was buried at Donabate. The Corballis farm continues to be in the hands of this branch of the Smiths. Thomas Smith, known as Tom, was the fourth son and sixth child of the family. Born in August 1870, he was an infant when the move was made to Donabate. Being the fourth son in the family, he probably grew up with the understanding that he would have to make his own way in the world. He chose to become an engineer and was a student at Trinity College, Dublin. In later years he worked on designing and building railway lines in various parts of Ireland. For many years he lived in Enniskillen, County Fermanagh. 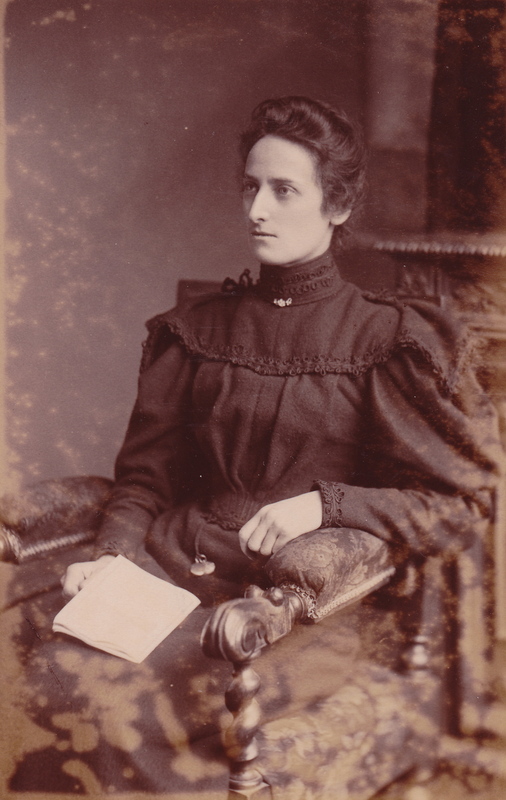 In August 1900 in Dublin, Tom married Elizabeth (known as Lulie) Hodgins, who was from Nenagh, County Tipperary. Lulie’s mother was Mary Mounsey, the eldest sister of Nell Mounsey. Tom and Lulie had no children. Tom died in Enniskillen in 1962 at the age of 91. Sarah Anne Smith, known as Sally, was the second youngest in the family and was born in Donabate in July 1872. For a time before her marriage, Sally kept house for her brother William at Blackhall. In September 1904, Sally married Frederick Malcolm Prockter in Ballymaglassan Parish Church. Malcolm was a mechanical engineer from Manchester who seems to have been working in Ireland for several years because he is listed in the 1901 Irish census as a visitor staying with the Smiths at Beaverstown. They may have moved to England soon after their marriage. Sally and Malcolm had no children. Sally died in Chelmsford, Essex in 1940; Malcolm died in Fulham, Middlesex in 1953. Joseph Randal Smith, known as Joe, was the youngest child. He was born in August 1875 and was trained as a mechanical engineer although it is not clear what kind of training he received. Joe married Isabella (Belle) Mounsey, the youngest sister of Nell Mounsey. 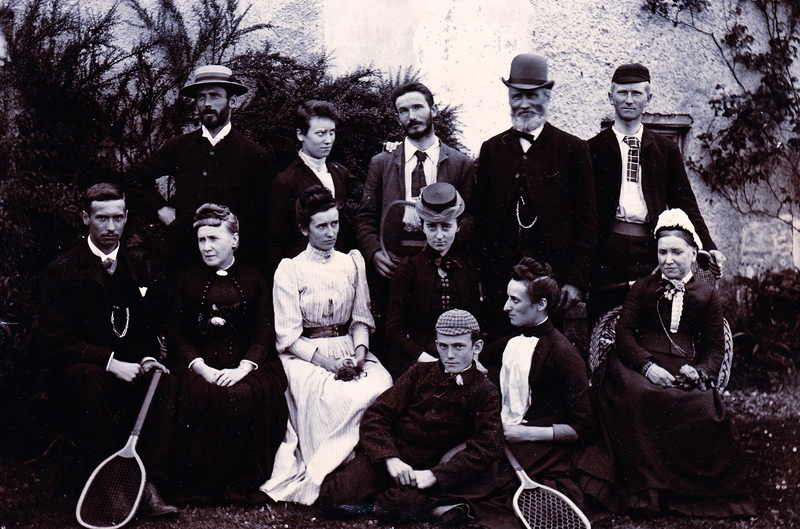 They were married in 1905, probably at the Anglican church in Ballymackey near Nenagh. They had no children. Apparently Joe was not very adept at earning a living and his wife had to operate a boarding house to make ends meet. They also rented out part of their house in Malahide to a small Presbyterian congregation as a place of worship. Joe died in November 1939 in Campile, County Wexford, and was buried in the churchyard of the Ballymackey church. His wife Belle lived until the age of 95; she died in January 1970 and was also buried at Ballymackey. I am Lancelot Westgarth Smith and Edith Ellen Barron Dawson’s granddaughter. Unless there is something I didn’t know, they had five children. Their second daughter is my mother. I’m very pleased to see some family photos and find out some more of the family history. Thank you very much for sending your comment. I am very pleased to be contacted by one of the grandchildren of Lancelot Westgarth Smith and Edith Ellen Barron Dawson. My apologies for getting the number of their children wrong; I was told there were six and I had no way of confirming that. I will correct that information in my blog. You may be interested to know that I have done some research on the Westgarths of Gamblesby and I will be writing a post about them in the near future. It is interesting to me that several of Elizabeth Westgarth’s descendants were given her surname as one of their forenames. Thanks again for contacting me. Hello Jean, I’m the youngest twin son of Lancerlot Westgarth Smith and Edith Ellen Barron Dawson, John Westgarth Smith. My brothers name is Lancelot William Westgarth Smith (Billy). Thank you for a very interesting read. Regards John. Hello John: Thanks so much for sending your comment. I am glad that the information on my blog is of interest to you. I will be adding more posts about the Smiths and their relations on the William Smith blog as I have time. One post in particular may interest you because it will be about the Westgarths. Thanks again for getting in contact. I am Lancelot Westgarth Smith’s eldest daughter, Eleanor Westgarth (nee)Smith. Lancelot (born 10/1/1896) was known as Garth and he had 3 daughters and twin sons, one of whom is named Lancelot William Westgarth Smith and the younger is John Westgarth Smith. My younger sisters are Catherine and Rosemary (also Westgarth Smith). Dad’s brother’s name was William (Bill) and his sisters were Eleanor (Nora) and Elizabeth (Elsie). May I say how truly thrilled we are to find your site. Thank you very much for contacting me, Eleanor. I am so delighted to hear from a descendant of Lancelot Smith of Beaverstown. It is very interesting to me to learn that all of Lancelot Westgarth Smith’s children were given the name Westgarth as one of their forenames! I have been looking for information about Elizabeth Westgarth who married Lancelot Smith of Gamblesby in 1817 and I hope to post something about her and the Westgarth family soon. Thanks again for your comment. I am Gavin Robinson brother to nancy Leermakers and eldest grandson to Lancelot westgarth smith. I remember him well and loved his ‘war stories’. I have a passion for First World War history and am desperate to go to where the battle of the Somme was fought as that is where my granddad was the dispatch rider. I have been to beavers town and have stayed at Corballis, which was absolutely fascinating. I visited the church and saw all the family graves and saw the candlesticks granddad made. Tks so much for all the info you have put up. Hello Gavin: Thanks for adding a comment to my blog. I am delighted that I have recently been contacted by four members of Lancelot Westgarth Smith’s family! Unfortunately for me, I never met your grandfather and I hope the information I have given about him in my blog is correct. If you have additional information about his life that I could have, I would be pleased to receive it at my blog e-mail address williamsmithfamilyhistory@gmail.com . There are references to the Smith family (mainly deeds) of Corballis in the Cobbe archives. Thanks for the tip, Peader. Where would I find the Cobbe archives? Hi Jean, I am another one of Lancelot Westgarth Smith and Edith Ellen Barron Dawson’s granddaughter’s. Rosemary Westgarth (Smith) Whitehead is my mother. Thank you for doing all this amazing research on our family tree. It has been fascinating reading. Hello Colleen, It is always a pleasure to hear from one of the descendants of the Smiths of Corballis. I am glad you have found the information on my blog is interesting to you. Hello – I have come across this family history, whilst gathering information on my family tree. I am the grand daughter of Stewart Smith who is the son of John Smith married to Helen Brown. John is the son of Lancelot and Elizabeth (Eliza) Smith. I have found this very interesting and wanted to say thankyou. Hello, Julie-Ann: I am very pleased to hear from you. Your grandfather Stewart Smith was a first cousin of my mother. So you would be a second cousin once removed to me. I would be very interested to learn about the life led by your grandfather Stewart – and to learn more about his descendants. I believe he and his wife Denise Brown had only one daughter, Marguerite. Did he have other children? Also I believe he lived in what was then Rhodesia for much of his adult life and he died there in 1978. Any additional information you can give me would be welcome. In the meantime, if there is other information about the Smiths that you are looking but can’t see in my blog, please let me know. Hi. Stewart Smith was my father’s cousin (Lancelot Westgarth Smith). Stewart lived in what was then Northern Rhodesia (now Zambia) on the copper mines. He made a great living there and he sometimes came down to see Dad in Bulawayo, Southern Rhodesia. I remember Denise – they were a handsome couple. Thanks very much, Eleanor. I was not clear on which part of Rhodesia that Stewart had lived in. I have some more info. regarding Stewart Smith. He was in the Rhodesian police force (British South Africa Police) and used to do bush patrols. Unfortunately, on one occasion his horse was taken by a lion. I think he got a bit fed up about that, because at some point my father, Lancelot, bought him out of the police and Stewart came to work with Dad on his chrome transport business. Although it was successful, that came to and end when Dad married my mother and her father insisted that they lived near Bulawayo. That may be when Stewart went to Northern Rhodesia. This is even more interesting! So Stewart and his cousin Lancelot worked together for a time. I had no idea how Stewart had earned his living. It looks as though he had several different occupations. Maybe Julie-Ann can add something to this as well. Wow all this information is very interesting. Sadly I can remember very little of my grandfather Stewart. I will speak to my dad and see what he can remember. Yes Stewart did work on the copper mines in Zambia. This is where my mother Marguerite was born in Zambia. Stewart and Denise only had the one child – Marguerite. Sadly she passed away in 2013 in Cape Town. I have a sister who lives in Cape Town a brother who lives in Harare and I am in Australia so all spread out. I will speak to my dad and get more information on Stewart as I don’t have much information on him – hence I find all your knowledge on him and his family very interesting. Thanks, Julie-Ann. I would be pleased to get more information about your grandfather Stewart Smith if you can find it. Meantime, he is in my family tree for the Smiths. I am happy that you can see from my blog how his Smith ancestors began in Cumberland (called Cumbria nowadays), then moved to Ireland and later scattered all over the world. Although I have not added information to my blog recently, I am continuing to look for more information about the Smiths and their relatives. At present, I am interested in learning more about the Kents, who are related to the Smiths through Eliza Upton (who was your grandfather Stewart’s grandmother). I believe your mother had Upton as a middle name. I am interested as to where the name Upton came from. My mother Marguerite has Upton as her middle name and my daughter also has the second name of Upton. I see that Eliza’s maiden name was Upton and was wondering if this is where the name has come from? I am going to read your blog and. Read all your information. I am just about to update the information about the Uptons on my blog because I have since learned some of it is incorrect, particularly about Eliza Upton’s father. May I suggest you wait for a day or two before reading those pages? I will let you know when the pages have been updated. Hello, Julie-Ann, this is to let you know that today I have updated the posts about Eliza Upton, William Bayley Upton and Priscilla Kent. I hope you find them interesting reading. I want to learn more about the Uptons and I have a few leads that may help to fill in some of the blanks. Hello. I have information of a Lancelot Smith living at 28 South Street, London, W1 in 1934. Would this be the same Lancelot Smith? Hello, Lawrence: With regard to your question, I don’t think the Lancelot Smith living n London in 1934 is one of the many Lancelot Smiths in my particular family. It was not a very uncommon name in the 1930s. If you read the post about the Islington connection, you will see there was a Rev. Lancelot Smith who lived until 1942 but he did not live in London. He had a son Lancelot Edward Smith who might have lived in London but I have no information on him other than he was born on the Isle of Wight in 1898 and died in Dover, Kent, in 1966.